This Saturday, 10-5pm, is the fantastic Winter Wonders show in Bloomfield Hills. 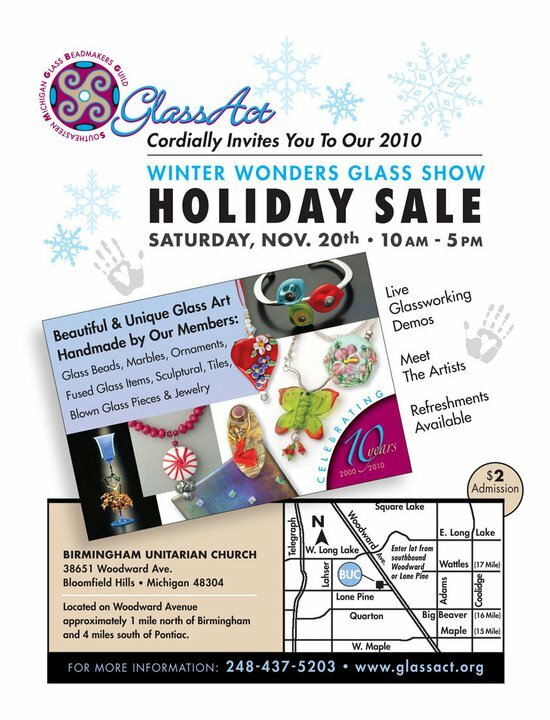 25 artists from my Southeast Michigan Glass Beadmakers Guild will be there. All things made of glass will be represented but especially items that are lampworked. And you can stay for hours nibbling on refreshments. In addition to jewelry and beads, I'll have fused ornaments, lots of wine bottle cheese trays, animal print bottle stoppers and a couple interesting mosaic mirrors. Stop by and say hi!